Joining Mauritius, Rwanda and Sri Lanka which launched OWSD National Chapters earlier in 2018, two new National Chapters were launched this summer in Indonesia and Kenya. 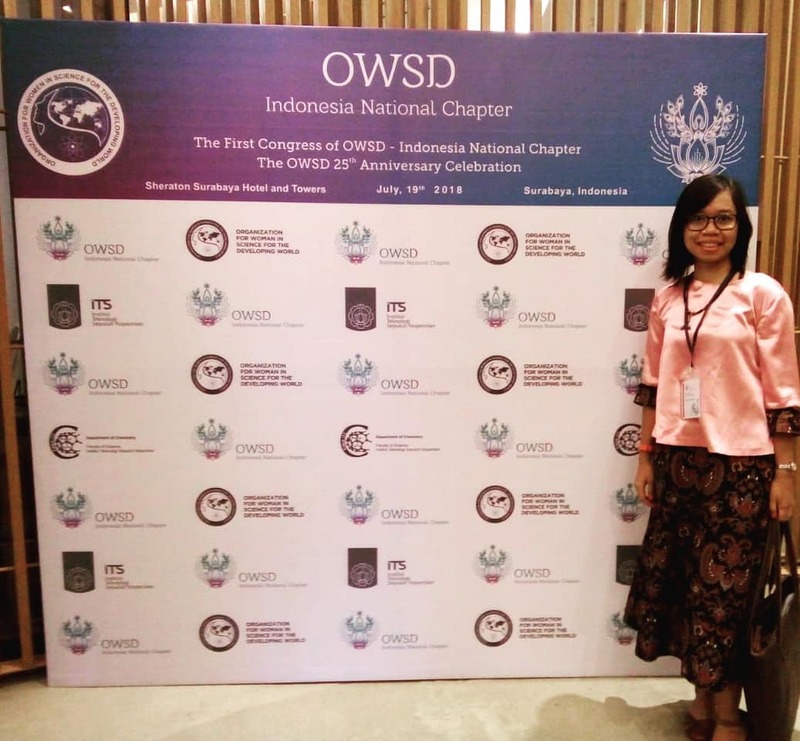 On 19 July 2018, the Indonesia National Chapter of OWSD was formally inaugurated at the Sheraton Hotel & Tower in Surabaya in conjunction with the 1st Congress of the new National Chapter. The event was attended by 100 selected participants from 14 different provinces of Indonesia, together with individual participants from Sudan and Vietnam. The participants included women entrepreneurs in addition to researchers, lecturers, and students. The inauguration event included a gong ringing ceremony, keynote addresses from prominent local policymakers, a panel discussion on “the Journey of Women Scientists”, and a gala dinner followed by a night tour of Surabaya city and a river cruise, organized by the mayor of Surabaya as a tribute to OWSD participants. Read more about the Indonesia National Chapter and launch event here. From 5-7 September, nearly 100 women scientists from Kenya and other African countries came together in Nairobi for the launch of the OWSD Kenya National Chapter and the OWSD Regional Conference for Africa. The OWSD Kenya National Chapter was formally inaugurated on 7 September at a special event at Nairobi's Safari Park Hotel, which also celebrated the 25th Anniversary of OWSD. The launch was opened with remarks from the new National Chapter President Patriciah Wambugu. Many esteemed scientists and business leaders from Kenya and other African countries also provided words of encouragement to the National Chapter members, including Sammy Muthui, CEO of Minet Kenya Insurance Brokers; Tereska Akenga, Vice Chancellor of the University of Eldoret; Wanjiku Chiuri, Vice Chancellor of Laikipia University; and Rob Skilton, head of capacity building at the International Centre of Insect Physiology and Ecology (icipe). 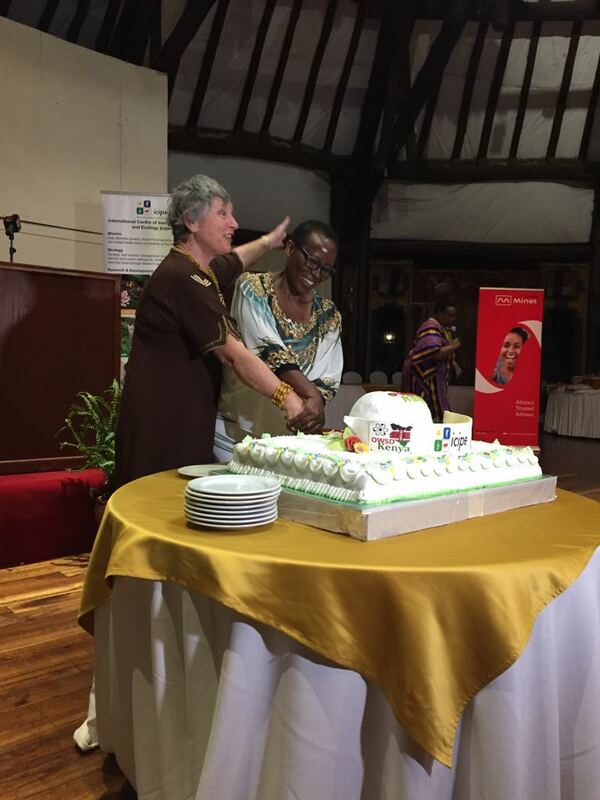 OWSD President Jennifer Thomson also congratulated the National Chapter on the launch, and together with Patriciah Wambugu commemorated the event with a cake-cutting. Read more about the Kenya National Chapter launch here.